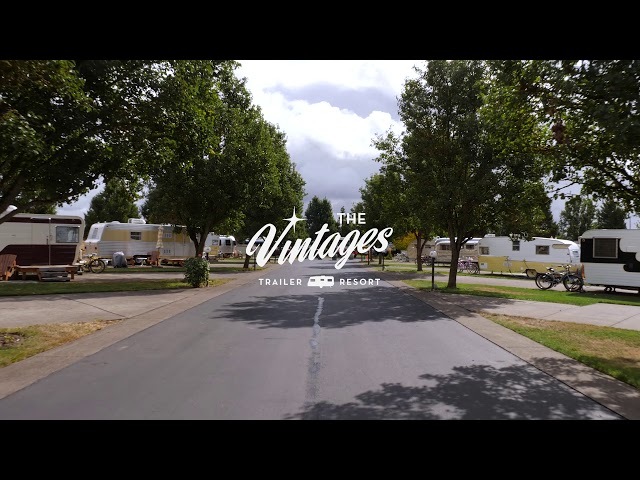 The Vintages Trailer Resort is centrally located in the heart of the Willamette Valley. This is halfway between Dundee, Oregon, and Historic Downtown McMinnville, Oregon. The trailers are grouped together in their own neighborhood within the 14-acre Willamette Wine Country RV Park. Vintage trailer rental is fun for the entire family and will be the highlight of your trip. The park offers a breathtaking view of the neighboring vineyards, a pool, and outdoor lawn games for all to enjoy. Additionally, should you bring your pet along for the ride, we’re right next door to a dog park where your four-legged friend can run around while you pick wild blackberries. Holiday in style, relive the past, in the heart of Oregon’s wine country. Join us at The Vintages!